During May works to the school have continued with the window frame and glazing in progress to create weather tight internal areas for the school’s fit-out. The school’s internal classroom walls are being built with the new mechanical and electrical services being installed. The pre-cast concrete facade is in progress to the Nile Street block on Nile Street. 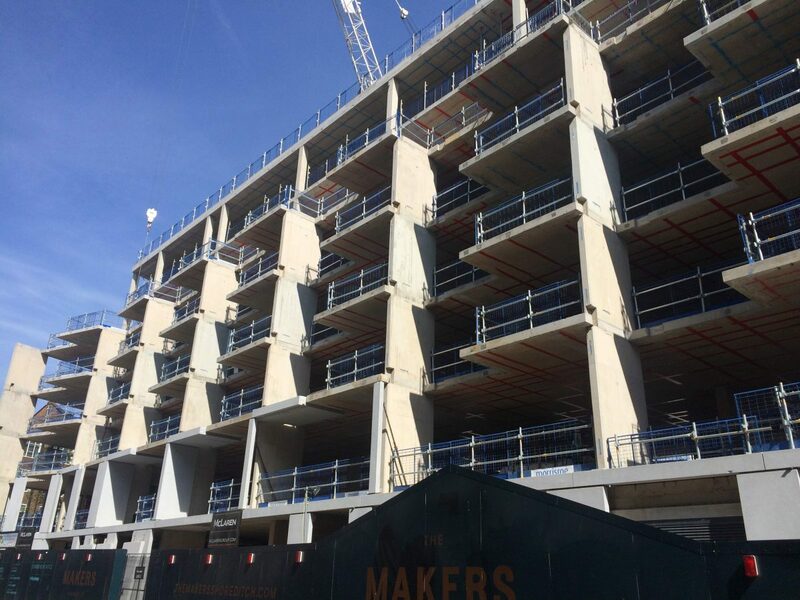 The tower’s concrete core is complete to level 25 and the floor slabs complete to level 21. The tower’s cladding is complete to level 11, with the internal fit-out progressing up to level 6. Installation of the electrical panels has commenced within the basement, along with the pipework and ventilation ducts that supply the school and residential. 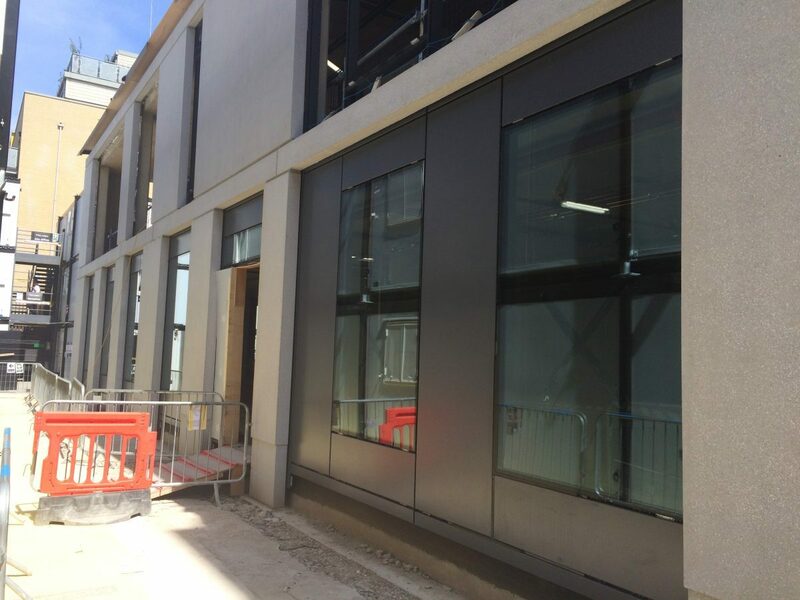 In June, the school will continue to be enclosed from the weather, as the remaining window frames and glass is installed and the finish to the roof laid. The fit out will continue with the sprinklers and other mechanical services installed. 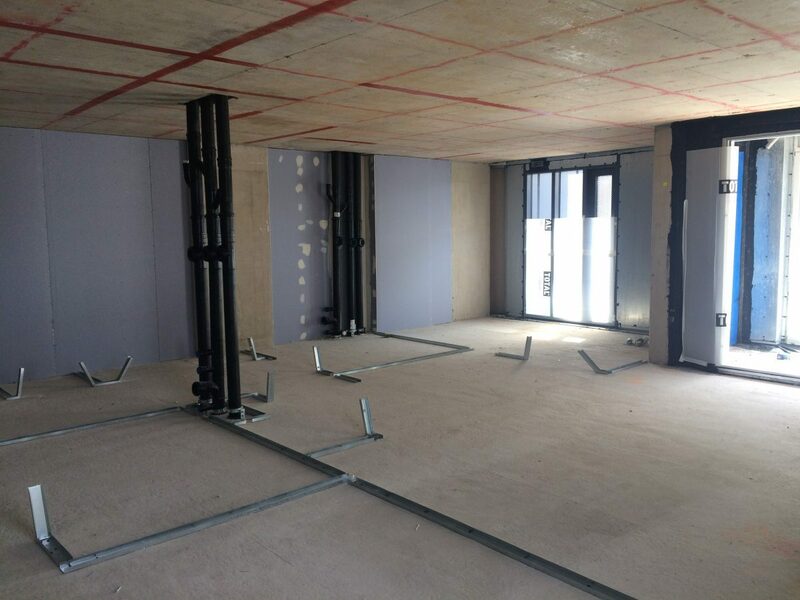 The term fit out means to make the interior spaces suitable for occupation. The pre-cast cladding to the Nile Street block will continue, and scaffold will begin to be erected around the block in preparation for the window and glazing installation. The tower’s concrete structure works will continue, as the cladding panels are installed on the completed floors below. The fit-out of the tower’s residential apartments will continue to follow on floors as the cladding works are completed. Please note that we are planning to increase the height of our tallest tower crane for the final time either the end of June or early July. We will provide residents with notification nearer the time once the dates are confirmed.